For so long I’d heard so many great things about Foxy’s live show, and watched several youtube videos to back it up, finally I got to experience it first hand. Now I can tell you without a doubt that Foxy Shazam’s live show lives up to all the hype. I don’t think I’ve ever seen a more energetic performance. These guys are bottled lightning. Eric Nally, the lead singer, and Schuyler White, the keyboardist, were the two to watch. Eric was all over the stage, doing handstands, jumping onto the back of the guitarist(while he was soloing) and snagging a piggy back ride, rolling around on the floor, hanging from the rafters, and eating cigarettes. Yes you read that right, the man ate cigarettes, somewhere between 7-9, he even lit them up before he chomped them down. Throughout the show he threw some anecdotal wisdom at us such as “The only difference between me and a scholar is how much we paid for our knowledge,” and “Being in a church makes you as much a christian as standing in a garage makes you a car,” which was just more silliness. Sky on the other hand was always near his keyboard, which wasn’t as stationary as you would expect. Sometimes he climbed up on his keyboard, and sometime he let his keyboard climb up him, hoisting it up on his back, or handing it to the crowd to hold up (along with himself) while he jammed out. Yeah, I’d never seen a keyboardist play his keyboard while he and his keyboard were both crowd surfing either. Even with all these shenanigans they still managed to play music, and even sound pretty good too. They played “Unstoppable,” “Red Cape Diver,” “Yes, Yes, Yes,” and “I like it” and a lot of other tunes from their newest album. I would have liked to have heard more songs from Introducing, but it’s kind of hard to complain about the show I beheld. After he ate the cigarettes and crunched out a few pull-ups from the rafters, and put a cymbal on his head Eric told us “I wish I had mirror so I could see what I look like when I sing.” and then dropped his mike and was done for the night. I think everyone should see what he looks like when he sings because it is something beyond just a concert and more of a spectacle. Kimbra got pretty popular for providing some guest vocals on Somebody That I Used to Know for Gotye, but now she’s showing that she is quite capable by herself. Vows is incredibly catchy, especially the opening track “Settle Down.” Even though my favorite track is the opening the quality doesn’t fall after. Things are kept interesting with string arrangements and all other sorts of interesting instrumentation. 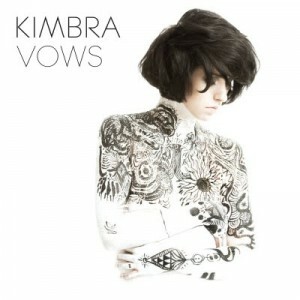 The biggest draw throughout is Kimbra herself, she’s got some great variation in her style and delivery, and clearly some talent in the songwriting side of things as well. Overall this is a fantastic debut and shows a lot of promise for this Australian performer.